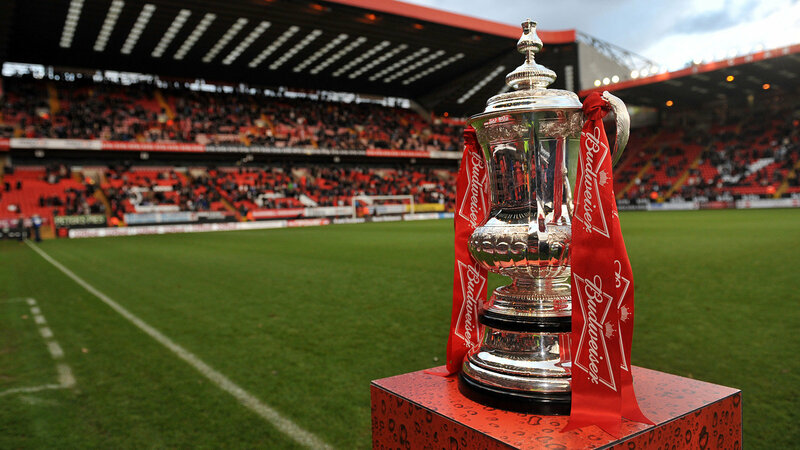 Arsenal finally ended their nine year trophy drought last season with their 3-2 extra time win over a valiant Hull City side in the FA Cup Final and will hope to retain the famous old trophy as they take on Aston Villa at Wembley today. Although the FA Cup Final is a near sacred date on the English football calendar and a match that's looked forward to by fans across the globe now, it hasn't always produced the best spectacle. It could be the weight of expectation, heavy legs on a big Wembley pitch at the end of a long season, or just two sides that are so afraid of losing on the big day that they opt for a safety first approach, but whatever the reason the Cup Final has produced a few damp squibs over the years. But every so often the match does live up to expectations and produces something worthy of the occasion. When I was growing up in Canada there was very little live football on television and virtually no club football other than the FA Cup Final at the end of the English domestic season. So the Final was something I looked forward to all year and in 1990 my side, Manchester United, were in it so I had even more reason to be up for the match. 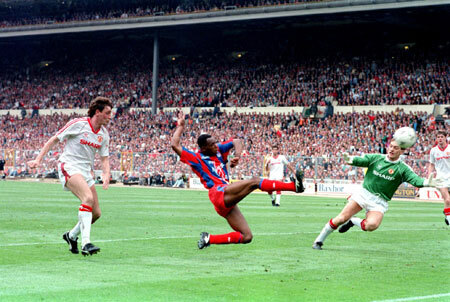 On 17 minutes, United fell behind when Palace's Gary O'Reilly forced one over the line from a free-kick that keeper Jim Leighton may have done better with. United would hit back through their "Captain Fantastic " Bryan Robson in the 35th minute though and then took the lead on 62 minutes through Mark Hughes. Palace had an ace up their sleeve in the form of substitute Ian Wright who entered the fray in the 69th minute. The future England man and Arsenal record breaking scorer had the ball in the net within three minutes of coming on after weaving his way through the United defense. There was no further scoring until extra-time but within less than two minutes past the 90, John Salako floated over a cross that Leighton badly misjudged and Wright came in behind him at the back post to volley home. Despite going behind, United as they would do so many times under former manager Sir Alex Ferguson conjured up a late equalizer through Mark Hughes to force a replay. It had been a pulsating end to end match with a bit of everything. There have been several great matches since this one, like Liverpool's 3-3 draw with West Ham and subsequent win on penalties in 2006, Wigan's stunning upset 1-0 of Manchester City in 2013, and of course last year's final between Arsenal and Hull City, but the final of 1990 is still my favourite. For the replay, Ferguson famously dropped keeper Jim Leighton and replaced him with Les Sealey. Leighton would never play for United again. A tough tackling and tight match was won on a superb goal by defender Lee Martin and give United their first of many trophies under Ferguson. The manager himself had reportedly been close to the sack earlier in the 1989/1990 season and this victory was just what he needed to push the club on to great success in the next two decades.